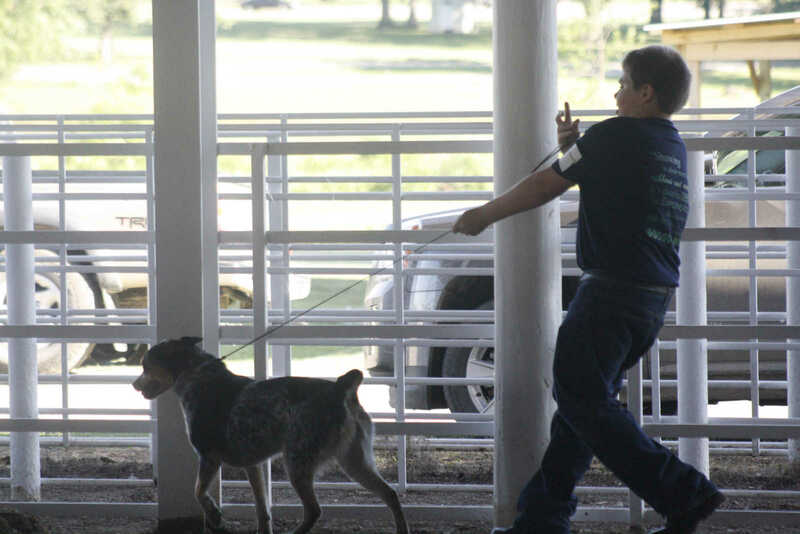 Brycen Jones trots with his dog during the show to present skills to the judge. 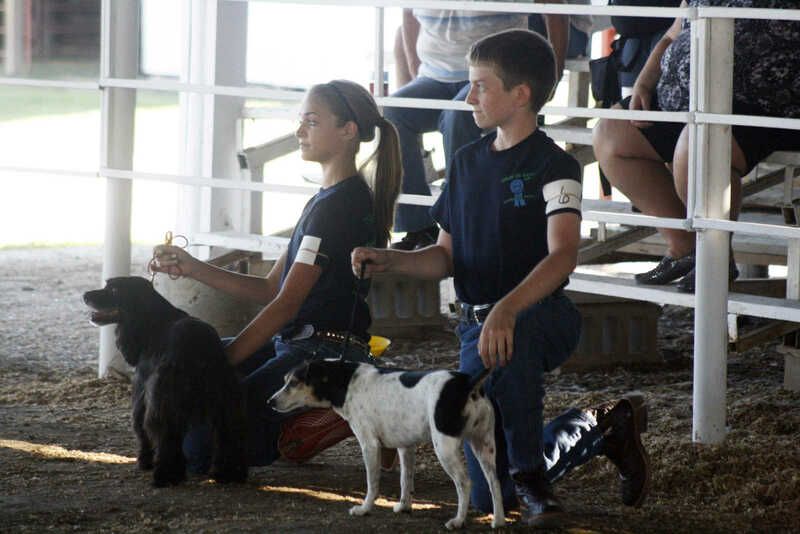 Sydney Ernsbarger and Landon Netherton await judging in the fairgrounds pavilion during the dog show. Alexa Collison holds her dog as a judge checks her stance. 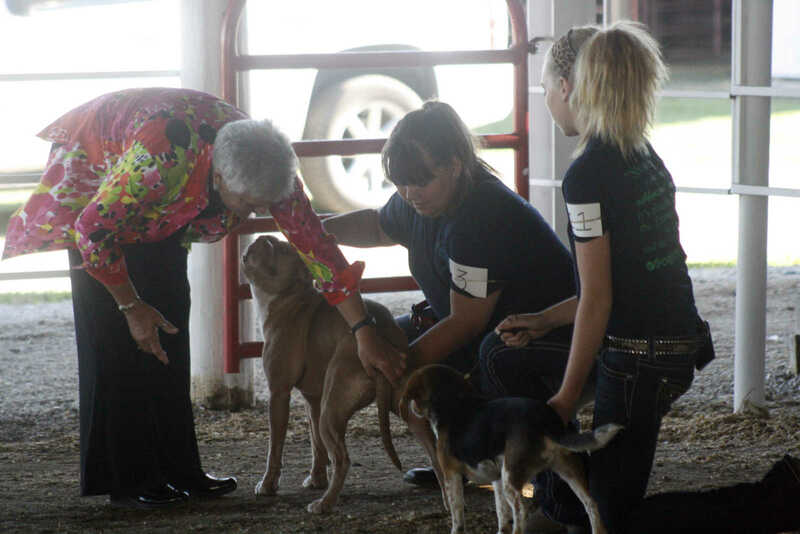 Addie Wilson, right, awaits judging with her beagle. 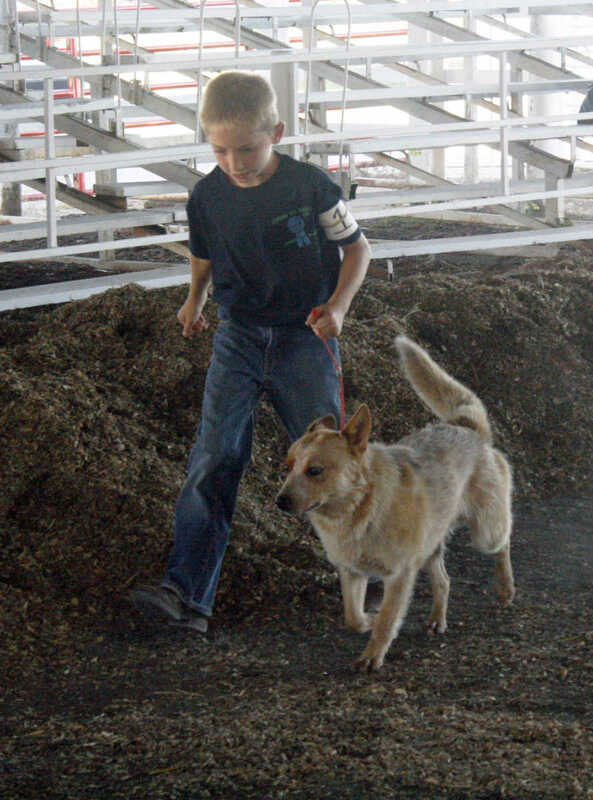 Ben Novak is pulled along by his dog during dog show judging. 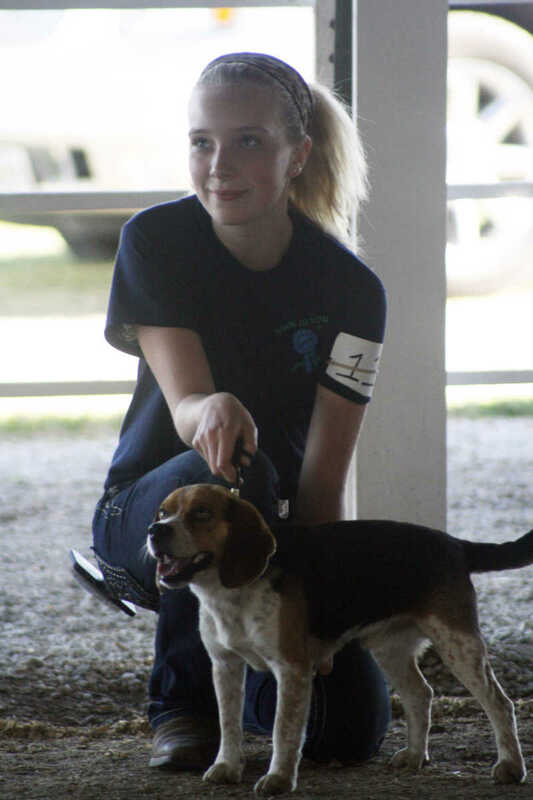 Addie Wilson awaits judging with her beagle.